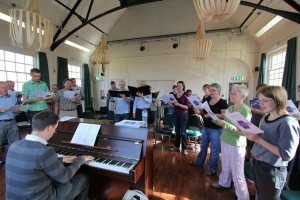 Since 2003 the Thames Valley Gay Chorus has (under various names) been a relaxed and friendly place for lesbian, gay, bisexual and transgender people from across the area to indulge their passion for singing. They get together on Sunday afternoons to sing, learn new skills and new songs, have fun and forget the day-to-day for just a couple of hours. The music they perform ranges from classical and sacred music through jazz, blues, songs from the shows to pop – there’s sure to be something for everyone! Members come from all over the Thames Valley (and beyond! ): currently Abingdon, Basingstoke, Binfield, Bracknell, Caversham, Emmer Green, Hungerford, Maidenhead, Newbury, Reading, Tilehurst, Uxbridge, Winnersh, Woodley, and Yeovil. 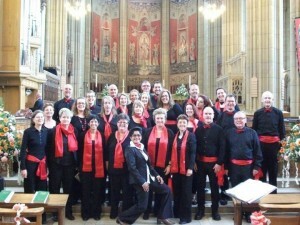 “Rainbow Chorus is a mixed bunch indeed and we welcome LGBT people of all ages and abilities. There are plenty of people who do not read music and learn by ear or from our recorded parts. The main thing is that we all get along well and the whole evening is great fun. 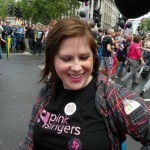 People join the choir for reasons other than just singing of course – some want to be an active part of the LGBT community, some want to get out for a drink in the evening, some want to make new friends, and some have even met a future partner! We aim to offer an enjoyable, supportive and affirming environment for LGBT members in the area to sing together, and so develop their community spirit and awareness, enabling individuals to develop their talents, skills and confidence.